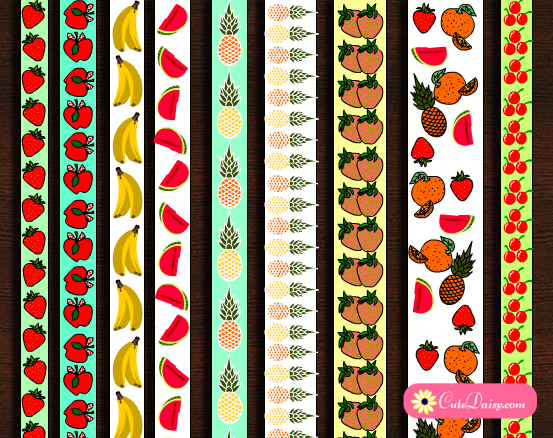 Here are adorable and free printable Thanksgiving Washi Tapes that I made over the weekend. 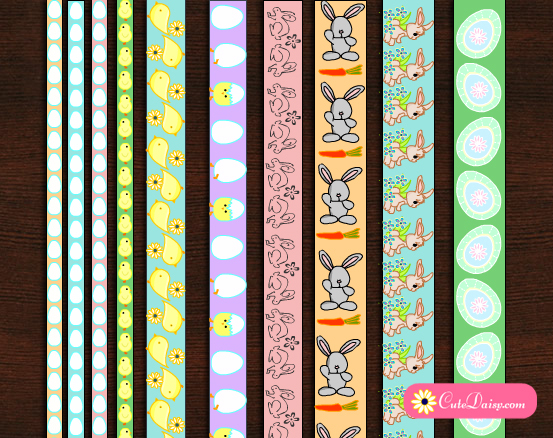 These adorable tapes can be used to decorate planners and also as borders to decorate your paper crafts like envelopes and cards. I have made these in many different colors and these washi tapes can also be used as fall themed washi tapes. 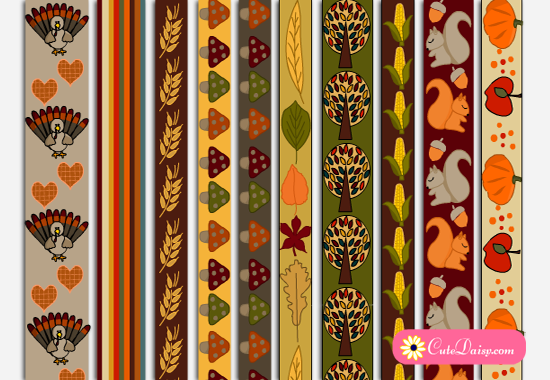 You can also find some more fall themed washi tapes here, to mix and match with these and to make your planners even more beautiful. Each of these tapes are 11″ in length and you can use these to decorate you Happy Planners, Erin Condren Life Planners, Kikki K and even Bullet Journals. 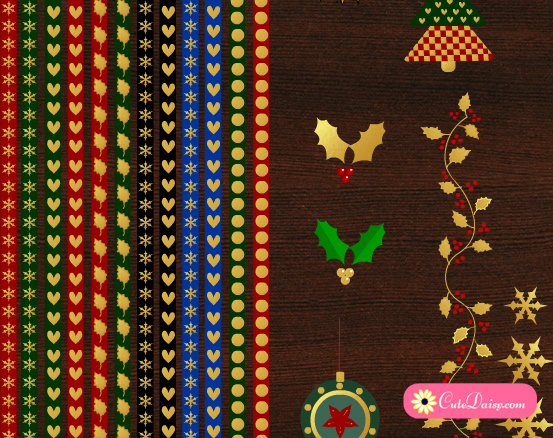 Do not forget to share the comments in the comments section below and also Pin these on Pinterest if you like my work. 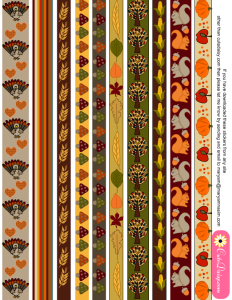 I have also made Thanksgiving themed decorative planner stickers and Thanksgiving Sampler Stickers for Erin Condren and Happy Planner. 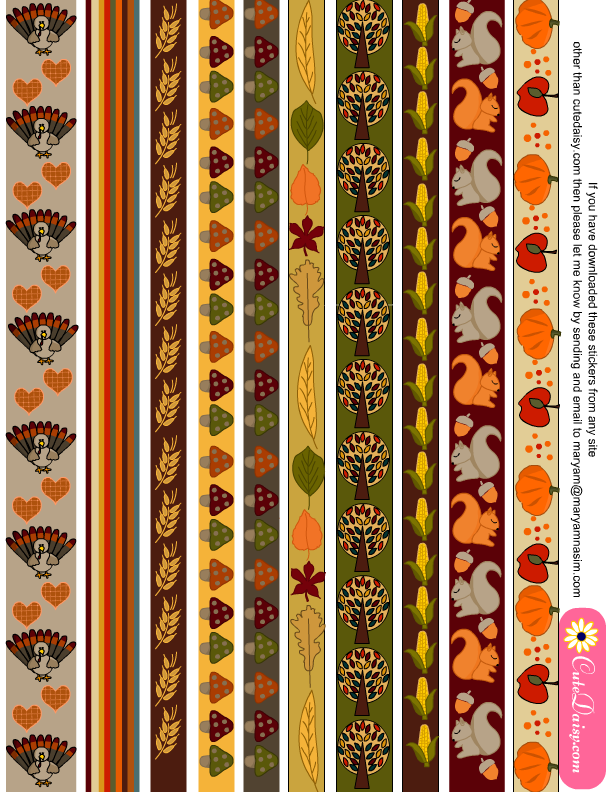 These are ten washi tapes and you can download the PDF file for these thanksgiving washi tapes or border stickers here. 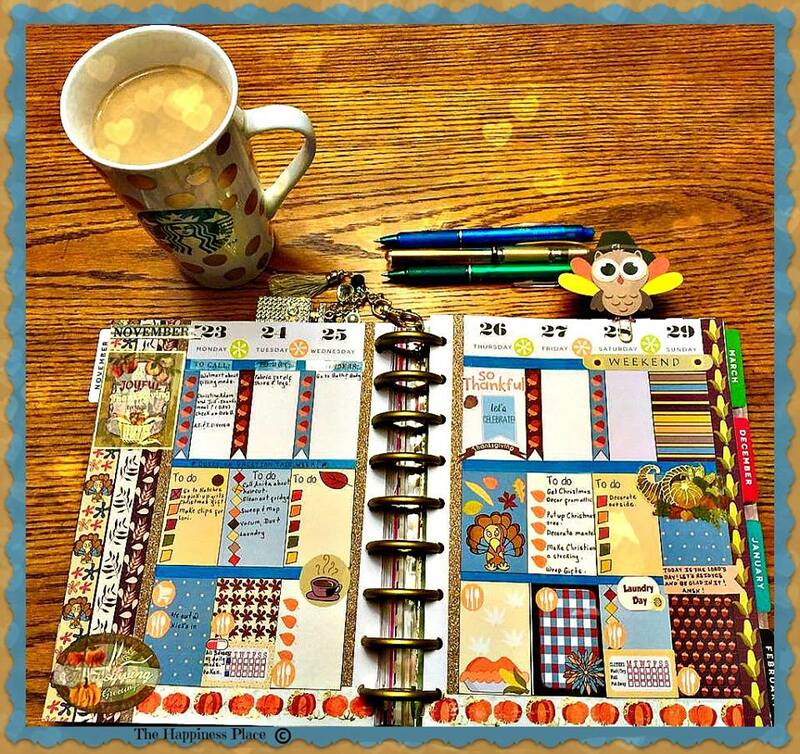 This is how Diana Darlene Jennings has used these washi tapes along with the other Thanksgiving Planner stickers that I have made. Yay!!! Now I can get my planner ready for Thanksgiving! Thank you again, Maryam!! All your stuff is marvelous! I cannot thank you enough for your freebies! GBU!